This grey-blue and black shirt has a very simple solid plaid that gives the shirt a little bit of a checkered feel. It’s standard cut and does up with buttons, not snaps. 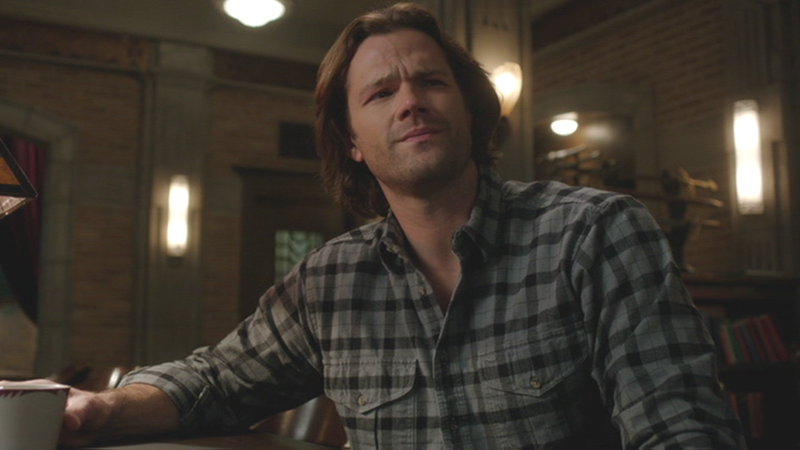 In Love Hurts (11x13), Sam wears this shirt after he and Dean change out of their suits, and are just relaxing in the motel room, just before Melissa arrives in a panic. He wears it until after he kills the Qareen. 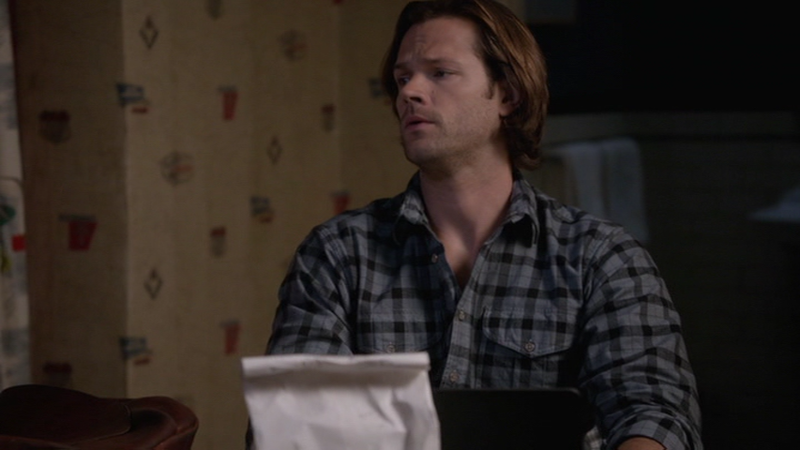 In The British Invasion (12x17), Sam wears this shirt at the very end of the episode after Eileen has left, when he gives Dean back the Colt.